Firefighting is an ULTRAHAZARDOUS, UNAVOIDABLY DANGEROUS activity. Assistant Chief Tim Llewellyn reminded members of this tonight as we trained on and issued bail out kits. The Fire District issues this equipment to all interior firefighters. 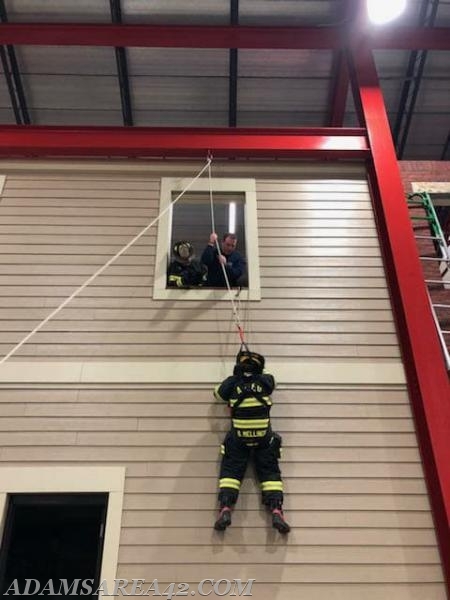 When we enter a burning building, our survival may depend on finding an emergency escape if the situation quickly deteriorates into a life or death situation. 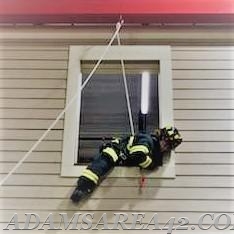 Sometimes, we may have to throw ourselves out a window on a piece of string! 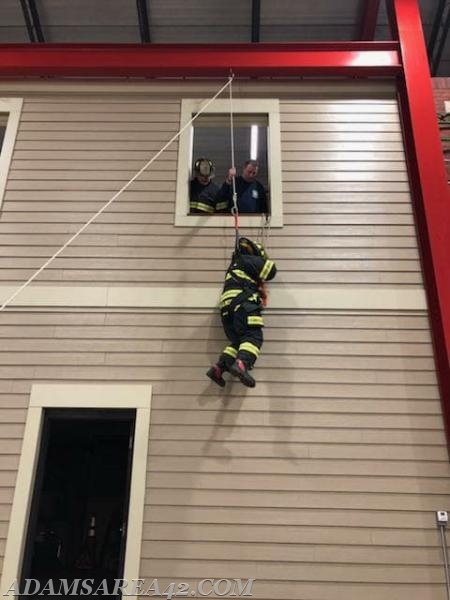 Firefighter Becky Mellinger prepares to dive out the window while simultaneously setting the hook to here bailout kit into the wall at the inner corner of the window sill. Head first out the window. The rope line attached above on the beam is merely a safety belay. 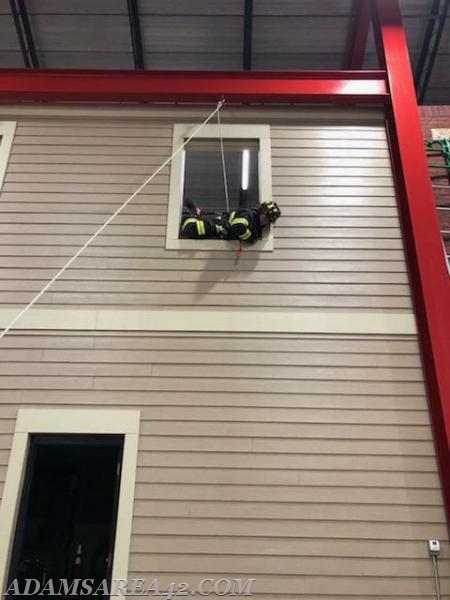 Firefighter Mellinger's weight is supported by the smaller line seen in the lower right corner of the window. 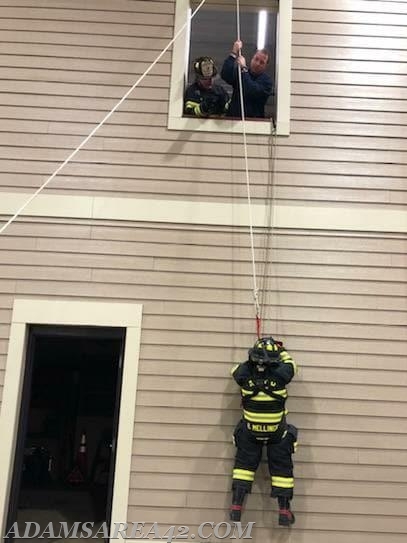 Utilizing the controlled descent device, Firefighter Mellinger begins to lower herself to the ground.